This foundation course is designed to introduce delegates with previous auto experience and practising auto locksmiths into overcoming extra van security i.e slam locks, kryptonite locks, deadlocks and padlocks. All the methods that are shown are using various tools for specific technologies. The course offers intensive training over a 2 day period with a maximum of 6 students per course. The course is 90% practical to ensure you know how to put the theory into practice. Upon completion of the course you will have the ability to start practicing as a knowledgeable locksmith and have an in-depth ability to work on the locks trained on. You will also receive a detailed instruction manual and training certificate. 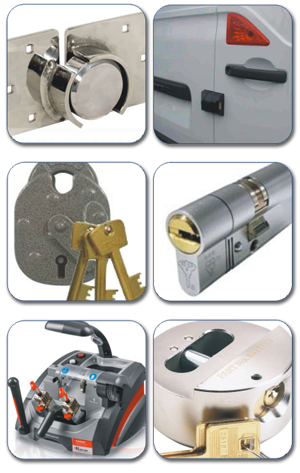 Within the training course you will have the chance to see and use the very latest state of the art tools available to overcome these types of lock non-destructive. This course is ideal for already practising automotive locksmiths, breakdown & recovery operators, fleet workshops or garage technicians looking to add another skill set into a niche market with a high level of technical content and good rewards.